At 5’ 4” tall and weighing only 114 pounds, Jan Rutherford may have been the smallest soldier to have ever served in the US Army Special Forces. In his book, The Littlest Green Beret, he offers his own life stories of adversity to convey how we can become better leaders day by day. What was the earliest adversity you face, and how has it affected your life? How does your life story fit with your passion, purpose, values and vision? Are you helping your people get what they want, so they will help get you what you want? What can you do to make optimism contagious? If you had to give only one piece of advice to a leader, what would it be? 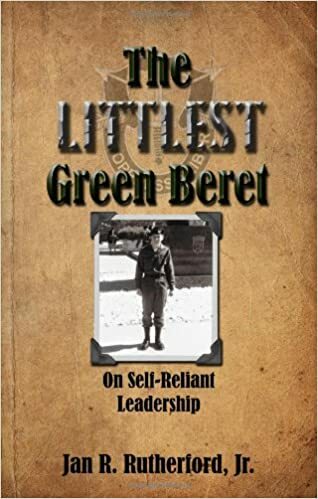 If you’d like to get all of the self-reliant leadership questions—and to read Jan Rutherford’s inspirational, educational and funny stories—check out The Littlest Green Beret.